It would be true to say that the subject of this remix bares an uncanny resemblance to that for Bend And Break by Keane. 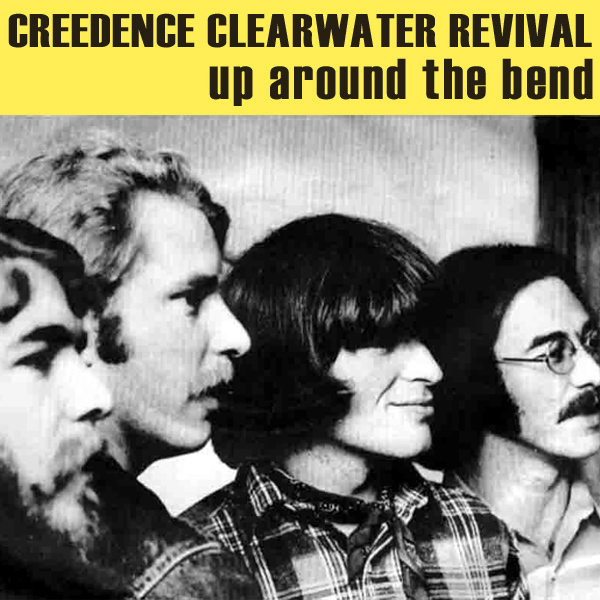 The main difference is that for Up Around The Bend by Creedence Clearwater Revival the girl shown in the remix (who is in a remarkably similar pose) is on the corner of the street, so she is round the bend in more ways than one. And what of the original cover? The less said about those mustaches and terrible haircuts the better. Scissors!